On Monday morning, PhillyVoice released a report citing several sources within the Eagles locker room painting quarterback Carson Wentz as "selfish," "egotistical" and "uncompromising." You can read that full story here. In the hours following our publication, several Eagles players took to Twitter to defend the 26-year-old quarterback by refuting our story. 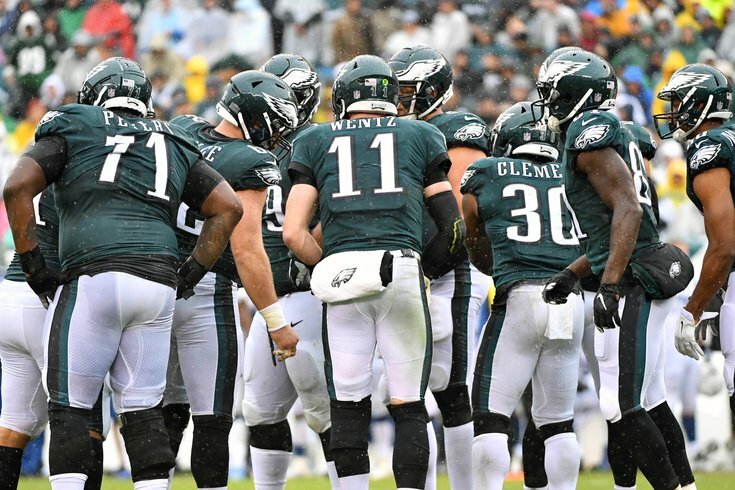 Because we were only able to tell one side of the story in our original report, we decided it only fair to give the players defending Wentz the same platform as those who spoke to PhillyVoice under the condition of anonymity. Lane Johnson also defended Wentz by attacking the writer. We stand by our sources. Obviously, not everyone in the locker room feels the same way as those who spoke to us for this story, at least not publicly. Even former teammates came out in defense of Wentz, like Torrey Smith, who was with the Eagles for their 2017-18 Super Bowl season.